Read a short excerpt from a Donald Trump tell-all book and try to guess which book contains the passage. Guess the except — is it from 'Fear,' 'Fire and Fury' or 'Unhinged'? Watergate journalist Bob Woodward released his much anticipated, bombshell book Fear: Trump in the White House earlier this week. According to Woodward, he wrote the book based on hundreds of hours of interviews with first-hand sources. In it, Woodward reveals desperate attempts by White House staff to change President Donald Trump's mind on important economic and foreign policy decisions. Fear isn't the first tell-all book about the president published this year depicting the president in an unflattering light, at best — and a dangerous one, at worst. Michael Wolff's book, Fire and Fury: Inside the Trump White House, highlights the chaotic interactions between Trump and his staff. 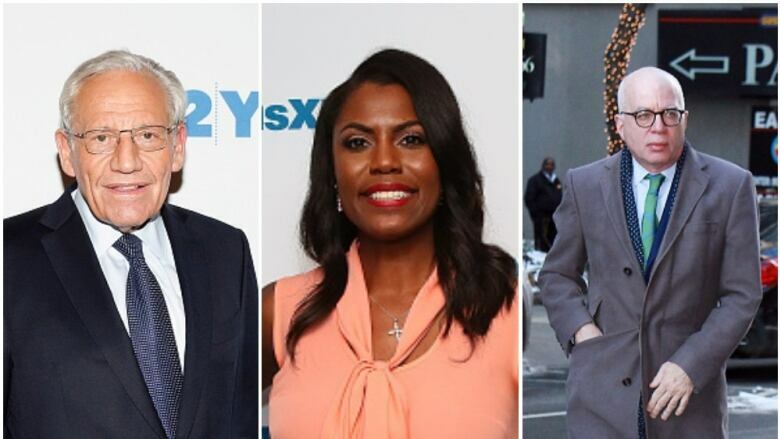 Omarosa Manigault Newman's Unhinged: The Insider's Account of the Trump White House, wrote about her time working with Trump in television and politics. Day 6 host Brent Bambury read excerpts from each of the books to Alexandra Petri, a satirist and columnist with the Washington Post, and Eleanor Stanford, culture editor at the New York Times. The pair then guessed which Trump book the excerpts came from. Now it's your turn. Take the Who Leaked That? quiz below, and compare your results to Petri and Stanford's.